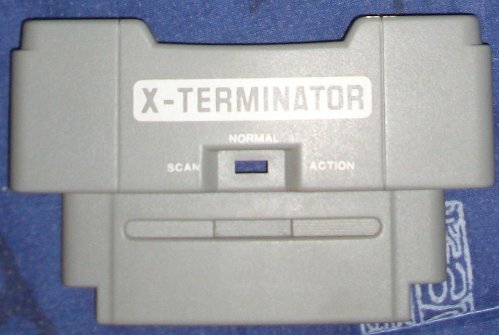 The X-Terminator is a cheat device that also coupled as a region free adaptor. Little else is known about the device. Thanks to ReadOnly from MESS for sending me this stuff. Not much is known about the X-Terminator cheat device. The description on the box makes it sound like it would have functioned similarly to the Pro Action Replay, and in fact used the same code system. The device also allows you to search for new codes. 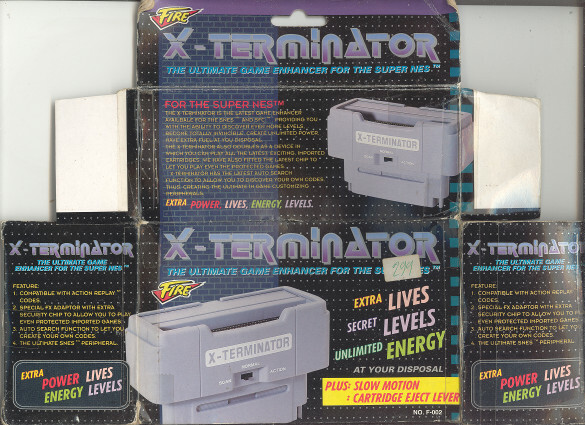 The X-Terminator also served as an adaptor to play foreign games. The back of the PCB with the switch that allowed you to toggle functions. PCB of the X-Terminator. 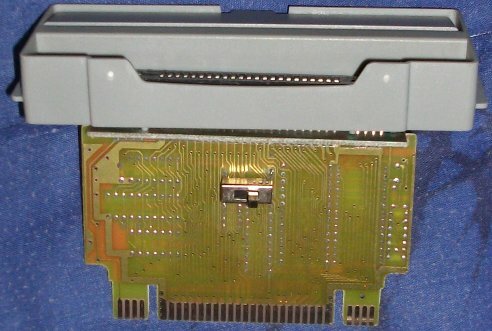 The ROM chip has a date stamp from March 1993, providing a minimum timing of manufacture. Also on the PCB is an EPROM, an 18CV8PC chip (a programmable logic device), a PAL16L6ACN chip (another programming logic device), an SCL 4016BE chip (a DIP IC), and a P9052AB chip (presumably another IC). After analyzing a number of dumps of the X-Terminator, I came to the conclusion the one I am releasing here is the correct dump. The text within the binary indicates this device probably was only intended for release in the US. There are no graphics in the ROM image, save the font set, which I have captured below.